It was nearly 14 years ago, while I was working for a large global apparel company that I had my first encounter with SAP. Like many other organizations, we had been running our operations and financial administration on an AS400 system. I had experience working with windows based programs in the past, but never with an ERP system. As it turned out, our selection of SAP as our ERP solution was the right choice. 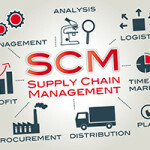 It provided an integrated operations and financial system that could handle the intricacies of a highly SKU intensive business. We immediately saw value in real time processing of data. That was 14 years ago; since then I have continued drinking from the SAP fountain as a user, an SAP Solutions Engineer, and now in the same role with an SAP software partner. I always tell my customers and prospects that SAP is the most effective ERP solution in the market. This brought great value and control to me as a customer. However, during any ERP implementation, you come to a realization that ERP software often does not address the issue of Process efficiency. If you ask an ERP user “What do you do with your ERP system on a daily basis?” Most often the response will be “I create a lot of data…master data and transactional data” or “I change a lot of data” and “I collaborate with other users.” These responses are common, yet when you further probe and ask “How do you accomplish this?” the responses are mixed. Some will say, they use special programs that have been specifically developed to accomplish these tasks, while others will say the traditional way of navigating through transactions and monotonously keying data. Regardless of the response, the obvious conclusion is the process isn’t very efficient. As a user, one of my tasks was to collect data from Cost Center managers, check the data, consolidate the data and then manually input it into the system. This was rigorous, although much improved from the old redundant mainframe. Once I collected the data, the data required approval, and hard copies for the auditor files before I began to enter the data. This was a monthly process not only for actuals but also for budgetary purposes. Although greatly improved, this closing process was still arduous, and quite time consuming. About 5 years ago, I joined my current company, Winshuttle. 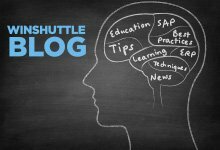 Winshuttle offers data management solutions that provide a very Lean approach to bringing efficiencies to SAP business processes. It provides a platform that allows companies to address the issue of inefficiency in data management, from a different approach. The business side of an organization typically has a set of needs to be met, in order to run the business efficiently and effectively. Often the solution to these needs reside in the IT side of the organization. However, the business needs typically far exceed the overall capacity of the IT department that supports the business, resulting in a surplus of unmet needs. When I was an ERP user at that apparel company, I too had needs. In order to satisfy those needs I would pitch my business proposition to the IT organization, including the requirements, costs, and the ROI. Oftentimes the request didn’t rise to the level of criticality and was pushed out or rejected. How do organizations normally respond to these “unmet needs” of the business? They will typically add additional headcount, outsource, or invest in point solutions to address specific requirements. Unfortunately, more and more point solutions follow, creating a “shadow IT” organization with considerable costs. The costs of the point solutions, and the cost to maintain and govern and control those solutions adds up quickly, not to mention the costs of lost opportunity. How does Winshuttle’s Lean Approach to Data Management address the issues of the business’ unmet needs? Winshuttle provides a non-programmatic approach to the collection, validation and movement of data in and out of SAP. This process is also simple enough for the business to manage, and can exist within the current capacities of the IT organization. Experts across various functional areas can leverage knowledge of the subject matter of the ERP, while not taxing their limited resources. As an SAP customer 14 years ago, this would have provided me with an easy way to collect data from my cost center managers. I could have easily checked and validated the accuracy of the data I collected from these managers, and it would have provided me with a way to handle mass amounts of data, without the redundancy of manual entry. 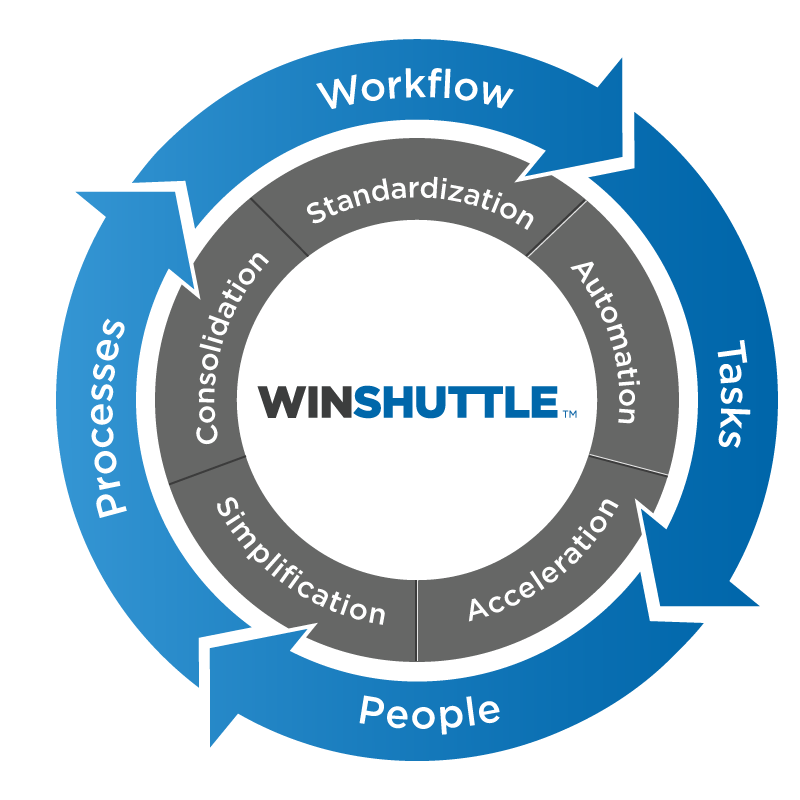 The good news is my former company is now a happy Winshuttle customer, leveraging a lean approach within their shared services organization. There are many more examples within our customer base that have also reached a point of realization following their ERP deployment and quickly resolved the unmet needs of the business.